Stem cells can be isolated from a variety of sources and they are typically classified based on their tissue of origin. Embryonic stem cells are, as the name indicates, derived from the inner cell mass of pre-implantation stage blastocysts at day 5–7 post fertilisation. These cells possess qualities such as pluripotency and a seemingly limitless capacity to proliferate in vitro in their undifferentiated state. Embryonic stem cells were first derived from mouse embryos in the early 1980s but have now been derived from a number of different species including rat, rabbit, sheep, horse and human. This chapter focuses on human embryonic stem cells and describes techniques used for their derivation and culture. In addition, the basic properties of these cells are illustrated, including some examples of their capacity to differentiate to various precursors and functional cell types. 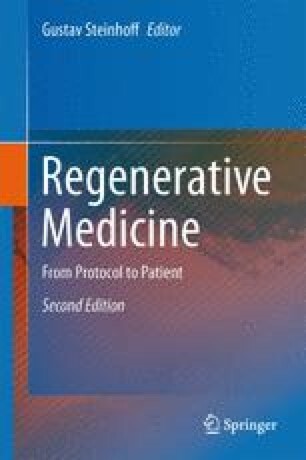 Finally, some areas of applications for these cells are discussed with emphasis on their possible future use in regenerative medicine. The authors thank Miss Claire Balfour for providing images for the figures.